What is Rock Art? 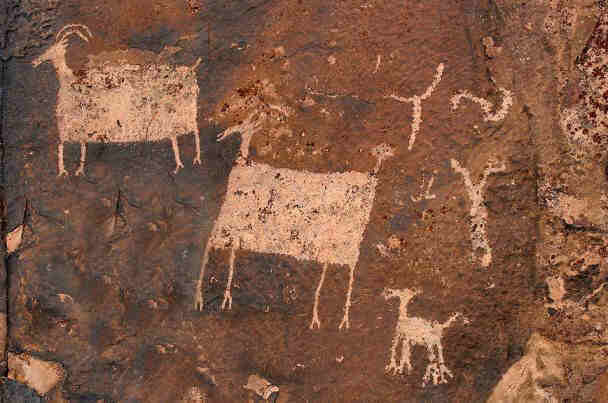 Definition: Rock Art is a generic term used to describe ancient rock drawings, carvings or paintings. Rock Art is found in a number of places in including rock faces and caves. Other works of art were created from boulders and stones on the ground. Petroforms are man-made patterns and shapes on the ground that are made by lining down, or piling up, stones, large rocks and boulders. A �petroform� refers to rocks that have been moved into a new formation. The Klamath Tribe, in south-central Oregon, built many rock cairns or petroforms.